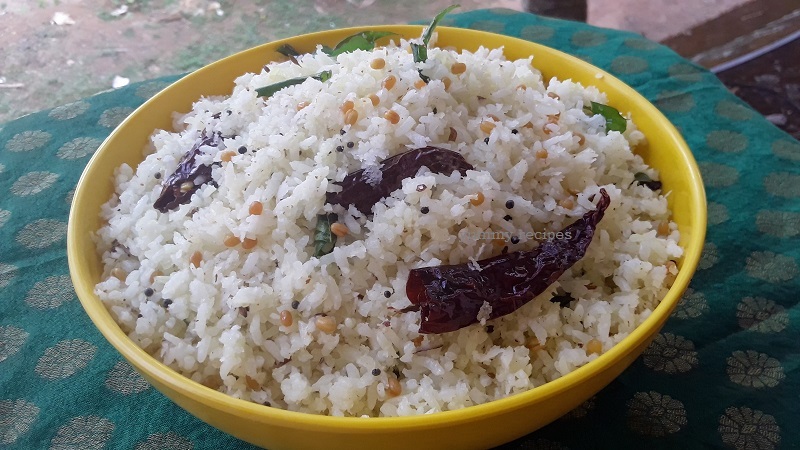 Coconut rice is a very simple and variety rice to prepare. 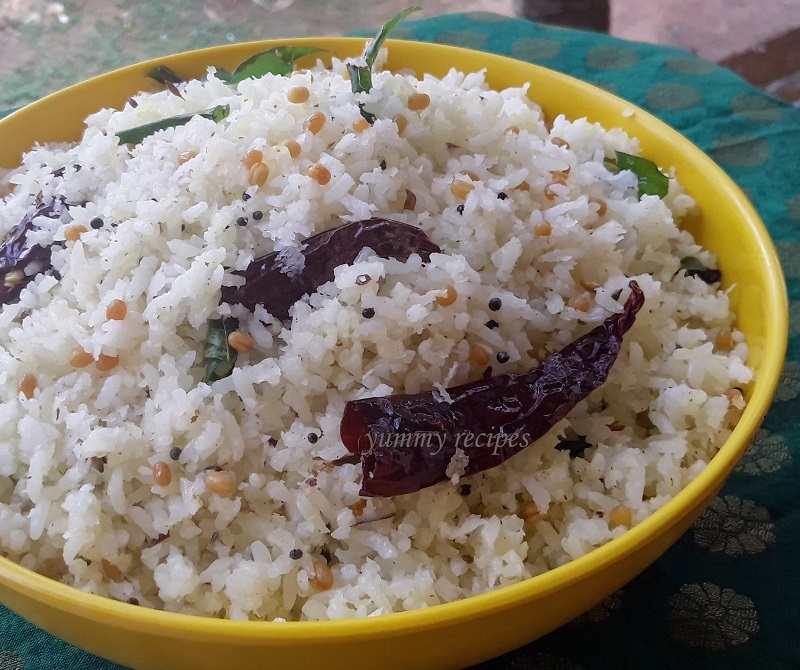 Freshly grated coconut is great to try this recipe. It’s also an easy lunch box recipe that we can make very quickly in the busy morning. 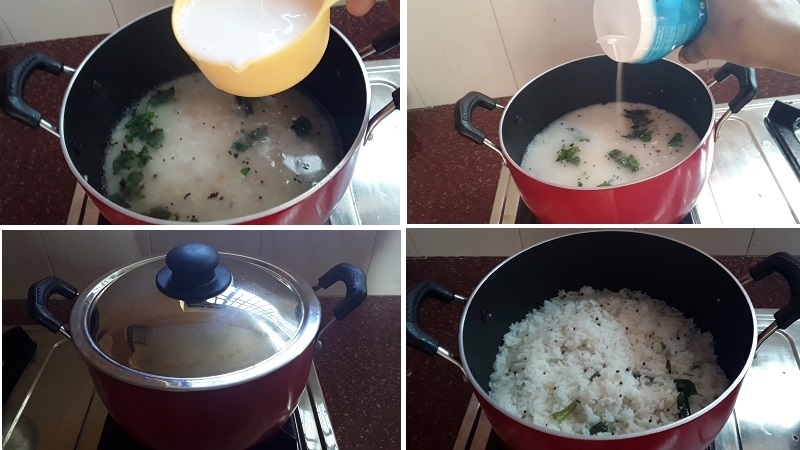 Here I am showing you 2 different ways to make coconut rice. Cook rice by adding water and salt and keep it aside. 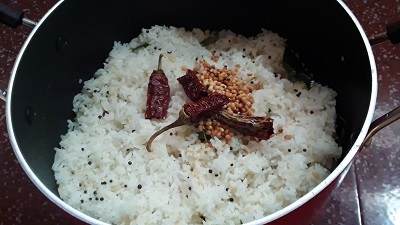 Heat oil in a pan fry cumin seeds, urad daal, curry leaves and dry red chili, till the urad daal turns golden color. Then add grated coconut and fry for 3 minutes in low flame. Add cooked rice and combine all are very well. Serve it with chicken curry, pickle etc. 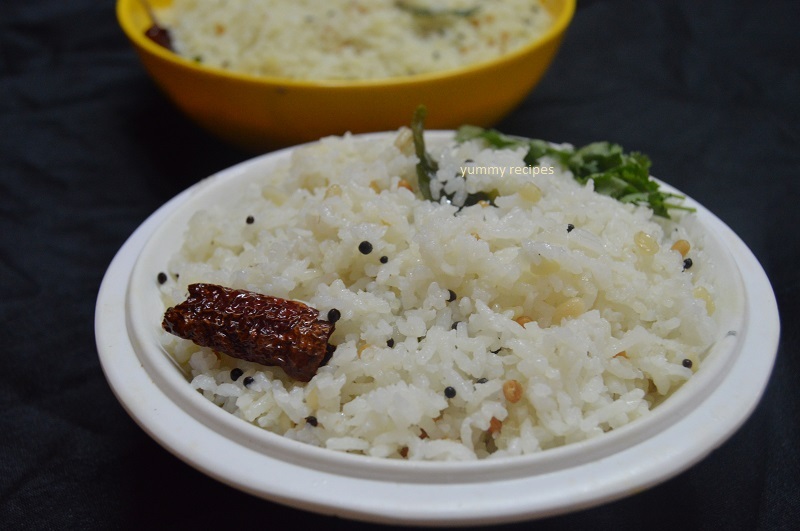 Coconut rice / rice cooked in coconut milk is a healthy and delicious lunch idea. 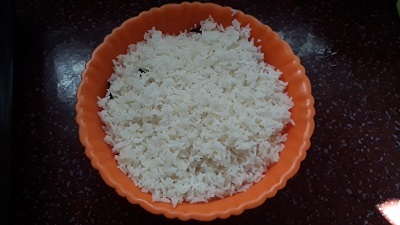 This is the rice recipe that the rice cooked in coconut milk. Heat oil in a deep vessel, add mustard seeds and allow it to splutter. Then add curry leaves, urad daal and cumin seeds and fry for 2 minutes. 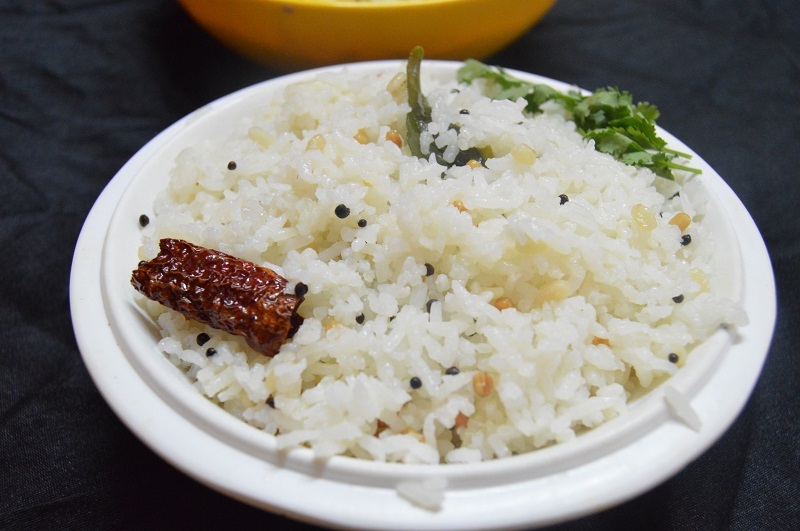 Add washed rice and fry for 2 minutes in medium flame. Pour water in to the rice and allow it to boil. Add coconut milk and salt to taste, close it with a lid and cook till the water evaporated from the rice. Put flame in low. In a small frying pan heat oil and fry 1 table spoon urad daal and dry red chili. Pour it in to the rice. Mix all are well and serve it with hot.